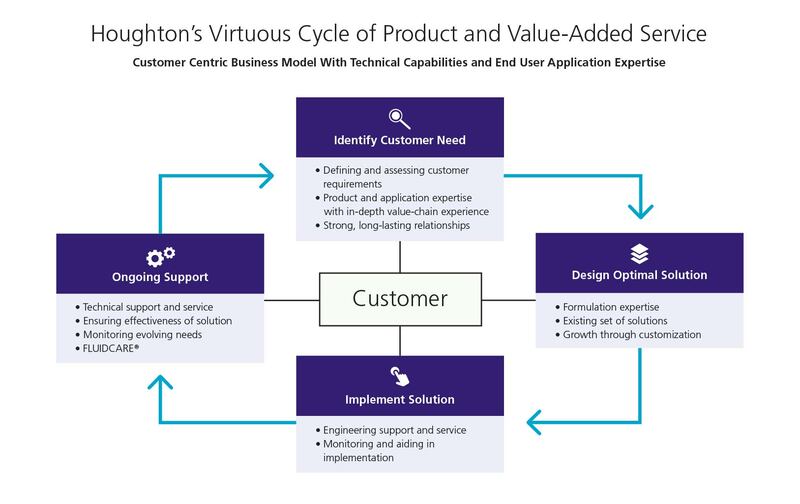 Houghton’s Customer Relationship Model reflects the fundamental importance of fully understanding the customer’s operations, delivering fluid solutions and services that optimize processes, and continuing to work with the customer through monitoring, innovation and continuous improvement. Want to join our Platinum Distributor network? We’d love to hear from you. Houghton leaders represent broad industry experience, a global perspective and a focus on performance. Houghton R and D develops advanced fluid technologies to enable manufacturers to increase profitability, improve product quality and minimize risks.